Many years ago I participated in a couple of mystery shopping jobs. Neither of them netted me any money. I got a free lunch (which I had to tip out of pocket) and the other I earned $11, but had to buy something as part of the shop, so my net income was negligible. Does that meany you can’t make money mystery shopping? 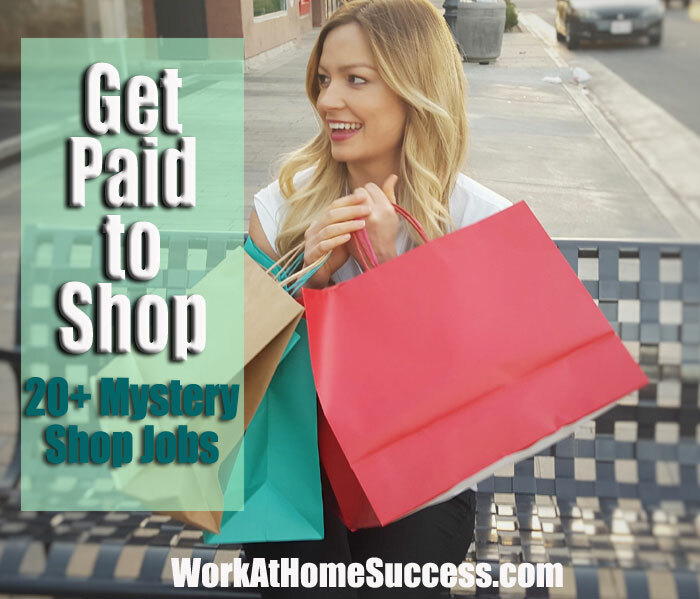 My opinion about mystery shopping is similar to my thoughts on making money with surveys; they can be a fun way to make mad money or get free stuff, but not a viable work-at-home job if you need to pay the rent or buy groceries. Here’s what you need to know about mystery shopping and a few resources to try if you’re interested in being a mystery shopper. In order to insure quality service, many businesses hire a company to conduct secret research. A mystery shopper is sent in to tour the establishment, and often, ask questions, and sometimes make a purchase. The mystery shopper then files a report of the experience that is shared with the business. Mystery shoppers can be sent into just about any type of business including big-name stores, restaurants, gas stations and more. You might even be asked to test drive a car. Other shops don’t require you to leave your home at all and instead, you’ll call companies asking for information. Others allow you to use your smartphone to make money on your regular shopping excursions. Payment for mystery shopping varies depending on the assignment. Sometimes you don’t get paid in cash, but instead in products. For example, you might get a voucher to pay for lunch if you’re checking out a restaurant. While a few mystery shoppers boast making several thousand dollars a month, most make just a few hundred. You can expect anywhere from $10 to $25 per shop, with a few type of shops earning $50 or more. One thing many would-be mystery shoppers fail to calculate is time and expense involved in an on-site mystery shop. You need to consider the time to travel to the shop, conducting the shop (often you have to complete a series of tasks), the gas consumed getting to and from the shop, and making a purchase (some shops require you buy something). Mystery shoppers are independent contractors, not employees. That means you need to take care income tax payments. However, it also means you have some tax perks you might not otherwise have such as home office tax deduction and travel expenses (to shops). Most mystery shop companies will pay by check at once a month, but some will pay by direct deposit. The easiest way to avoid a mystery shopping scam is to never pay to join a mystery shopping service. The legitimate services never charge its shoppers. There are a few resources that will charge you to access their list of companies, but even that’s a waste because you can find the information online for free (I’ve listed many below). Never use wire-transfers or your personal bank account to help a company do business. These types of services are usually fake check scams. Check that the company is part of MSPA, an organization that provides information about mystery shopping and other customer experience resources. 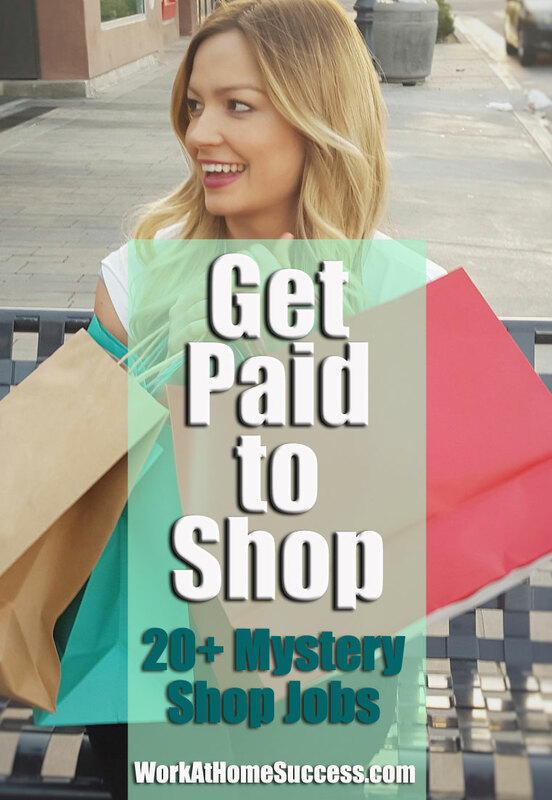 Becoming a mystery shopper is fairly easy. Simply fill out your information to join a mystery shop organization. Once accepted, you can scan the database for shops or sometimes shops are assigned to you. When you accept an assignment, READ and follow the instructions. Many shops ask you do specific tasks during the shop (i.e. ask for customer service or buy something), and have specific information they want you to report back on. Failure to comply with this could result in not getting paid. Note that not all these companies may be taking on new shoppers at this time. I’ve identified some of the telephone mystery shop companies; however, some provide both home-based phone and in-person mystery shops, so it’s worth checking out all the options listed. The shopping apps below pay (money or rewards) for visiting stores and doing tasks, such as scanning a barcode. Many pay for other non-shop tasks such as taking a quiz or watching a video. Checkpoints: Earn points by visiting your local stores, scanning the bar codes of certain items, and other tasks. Available on iPhone and Android. EasyShift: Pays via PayPal for tasks such as scanning a barcode, taking a photograph of displays, checking stock availability and more. It appears to be available only on iPhone at this time. Field Agent: This is a microwork-type site except instead of doing work at home, you do tasks on the go such as checking stock availability or prices, mystery shopping, and surveys. It appears to be available only on iPhone at this time. Gigwalk: Register and get the app, then take on assignments that interest you. Assignments can include just about anything such as getting menu information, checking road signs, and more. App available on both iPhone and Android. Don’t forget to check out all the other great apps that pay you to shop, watch videos, and more.